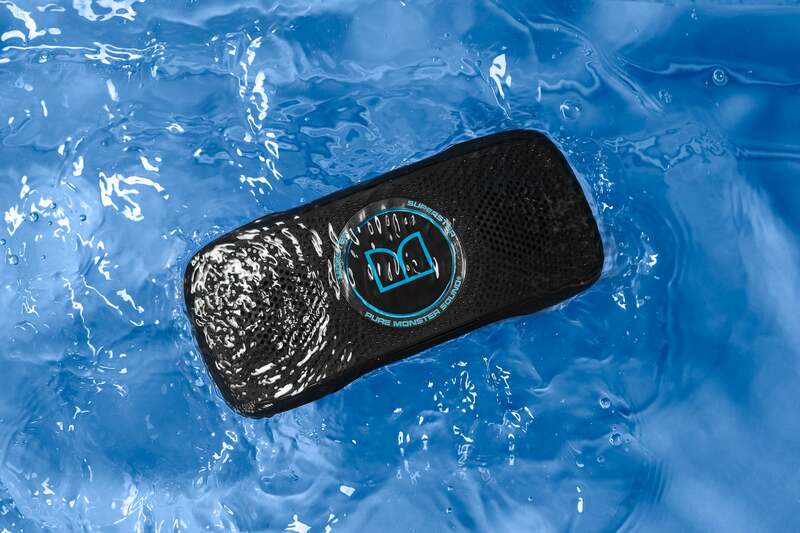 This waterproof speaker can not only withstand poolside splashes, it can float in the pool with you. 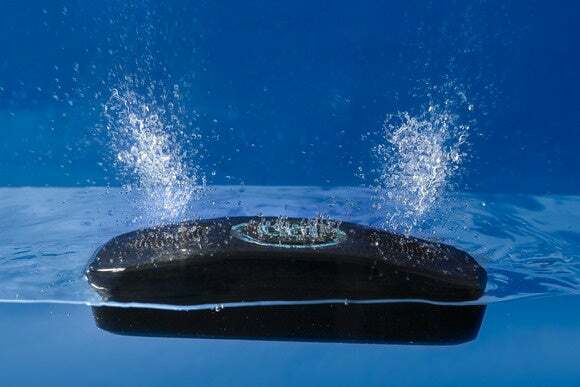 Mixing water and electronics usually doesn't end well, so I was surprised to learn that Monster's SuperStar BackFloat Bluetooth speaker can not only float, it can tolerate being lightly submerged. It sounds halfway decent, and watching water bounce off its drivers and passive radiator in time with your favorite tunes is great fun. What's not as fun is its $170 price tag ($150 street price), especially if it's destined to be used by kids who rarely treat anything delicately. But as my cousins like to say, I’m cheap. I, of course, prefer different adjectives. A note on Monster's website says the BackFloat's "waterproof" claims are based on an IP (International Protection) mark of 6, but it doesn't provide specifics as to how deep or for how long the speaker can be submerged (IP6 means only that it can withstand powerful water jets), but it survived a dunk in my sink. Water bounces off the BackFloat's waterproof speakers and the passive radiator in the middle. The BackFloat is a sealed plastic box wrapped in a black rubber jacket on five of its six sides. The speakers themselves are fabricated from a waterproof material. Openings for a micro-USB port and an auxiliary audio input are protected by a flap that reminded me of Dr. Denton's blanket sleeper. You can remove the jacket, and it can also come unseated from the retaining groove running around the edge of the speaker face. I did this accidentally while I was testing the unit in the shower with no ill effect. But that was the shower. Don’t use the unit in a pool without its prophylactic tightly sealed and its port flap closed tightly. The BackFloat's controls are pretty much your standard Bluetooth speaker types: on/off, Bluetooth sync, and volume up/down. LEDs report power status and Bluetooth sync status. There's also a mic, so you can use the BackFloat as a hands-free device with your phone while you float and tipple libations. Yes, it floats. You can even submerge it as long as you're careful to keep its rubber prophylactic cover snug and its port covers closed. The only thing non-standard is that the Bluetooth-sync button is also used to answer and end phone calls and to play/pause music. 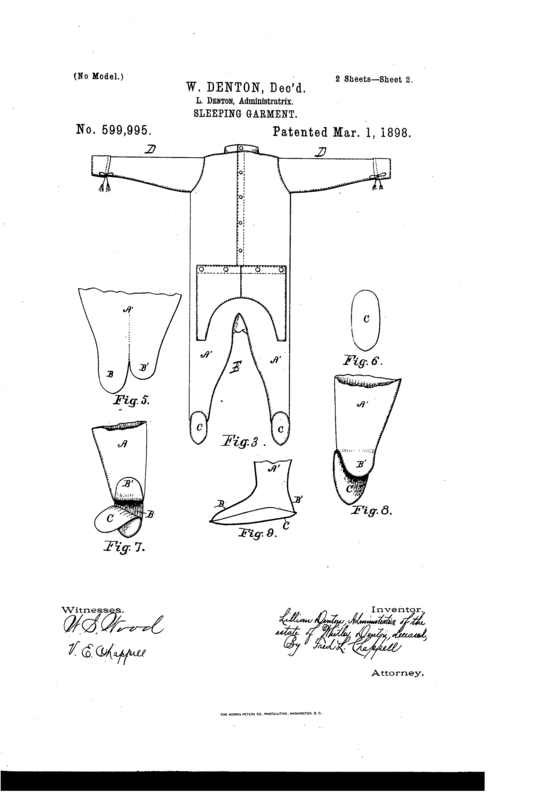 Sync buttons are usually single-function. Finally, there's a separate button for toggling between phone and playback control. Judging from the weatherized speakers that I’ve heard, such as the BackFloat and TDK’s Trek Flex, it’s got to be a tough job making things sound good while not letting dihydrogen monoxide in. Monster has done a bit better job with the BackFloat than TDK did with the Flex. There’s plenty of bass without it sounding like subwoofer, and there’s a truck-load of volume for such a small enclosure. Cranked up, the box started crawling across my desk at an alarming pace. What is missing is a bit of upper mid-range, which leaves the BackFloat’s renderings lacking a touch in definition. Stereo separation is mild, at best; a problem I've heard in every one-piece speaker system. 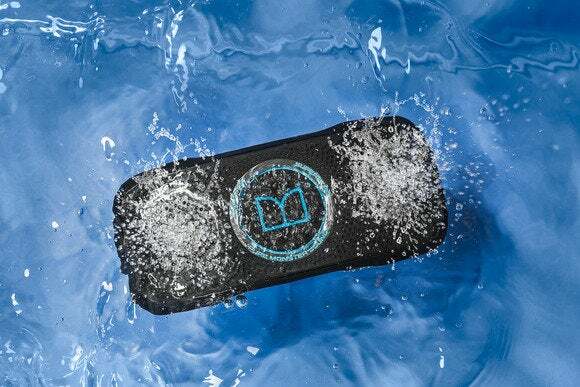 The BackFloat isn’t an audiophile speaker, but it’s certainly up to its intended purpose of blaring tunes in the pool or shower for a good long time: Monster claims 7 hours of battery life; I got 6 to 8 hours in my low-volume testing. No one passionate about music will use the SuperStar BackFloat as a reference speaker, or even as their primary indoor audio system. But it's great for its niche—if you can get over its price tag, that is. Loads of volume and the ability to float and even be submerged in your bath or pool makes the BackFloat about the most fun product on the Bluetooth speaker marked.